A recent visit to the Survey of India map sales office in Delhi was most frustrating. 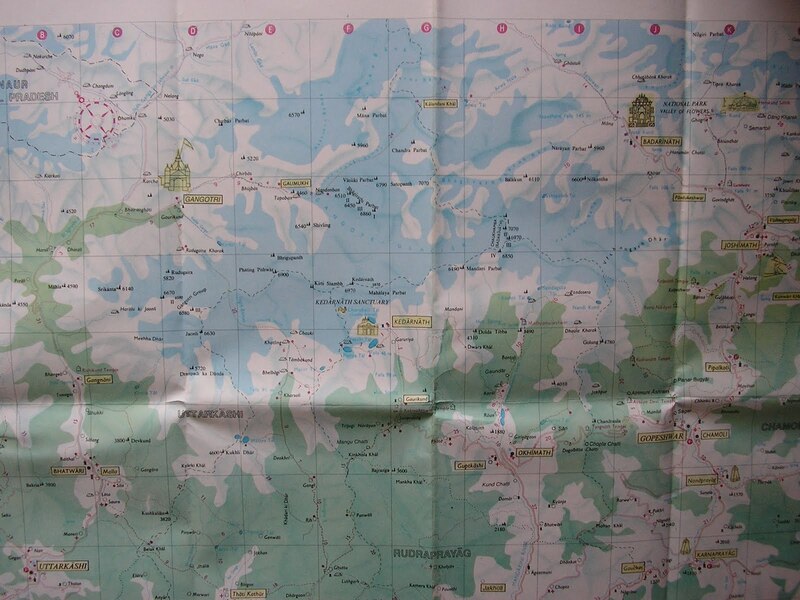 The people there were extremely reluctant to show me any maps without me first telling them the exact sheet number- they probably even need the latitude and longitude- and even then could only give me some large but pretty useless trekking maps of the Gangotri, Badrinath, and Shimla hills regions. They were careworn and mothballed, and the contour maps were kept firmly out of sight. I had made the mistake of going there without the sheet names and they effectively used it against me. And of course there’s that eternal suspicion. Just who is this person, they think. 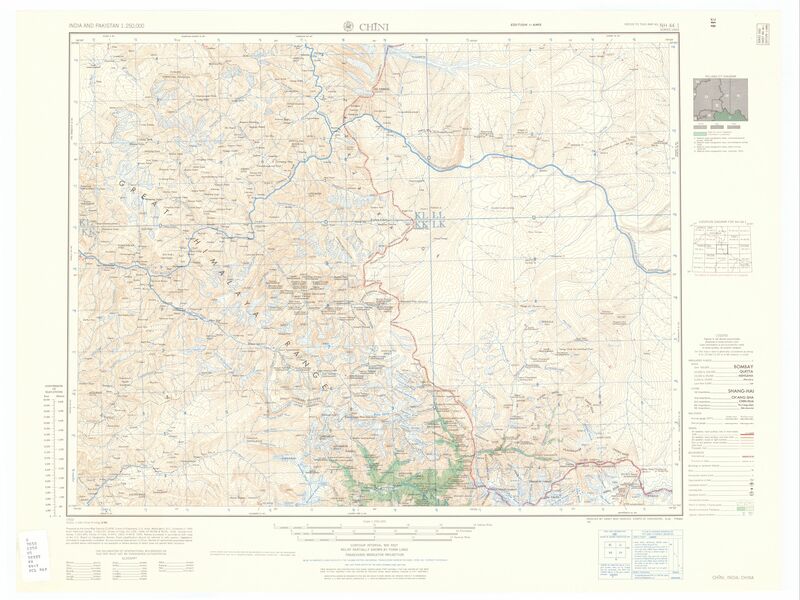 Why does he want topographical maps of border areas? I had to settle for the trekking maps. Next time I go, I’ll take a sheet of paper with ALL the sheet names I can think of, and then some. And this time, if they demur, I will HAVE to do the unethical thing and wave my press card at them! But then, a few weeks ago, I found this! I’d heard of it before, but I had no clue that it was freely available. 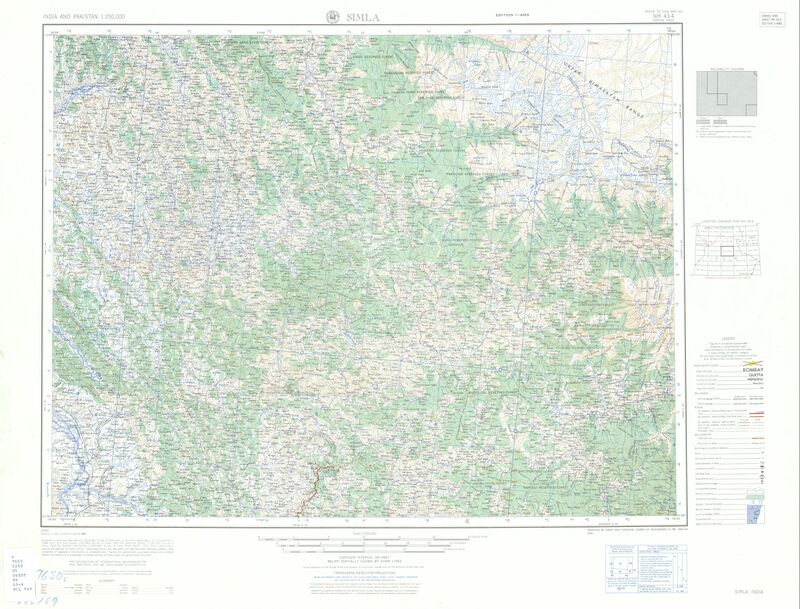 These amazingly detailed topographical maps are the legendary Series U502, made by the US Army Map Service for, yes the US Army, back in 1955. That makes them 55 years old, but boy are they out of this world. These sheets are the real thing- at least in the absence of SOI sheets. And the sheer scope of it is massive too, covering the entire subcontinent, including India, Pakistan, East Pakistan- ah the period piece ring of that- and Ceylon. From what little of this vast map I’ve seen, most of the Himalayan regions seem to be pretty accurately mapped, at least after checking them against the others. And I can’t begin to describe the joys of learning the names of the many unforgettable places that I’ve seen in the mountains, and all that I’m yet to see. Entire ridge systems, rivers, towns have their names. Now these names might have gone out of use since all those years ago, but many of these I’ve managed to verify. The trend seems to be that of pretty accurate nomenclature. The maps trip up in some places. 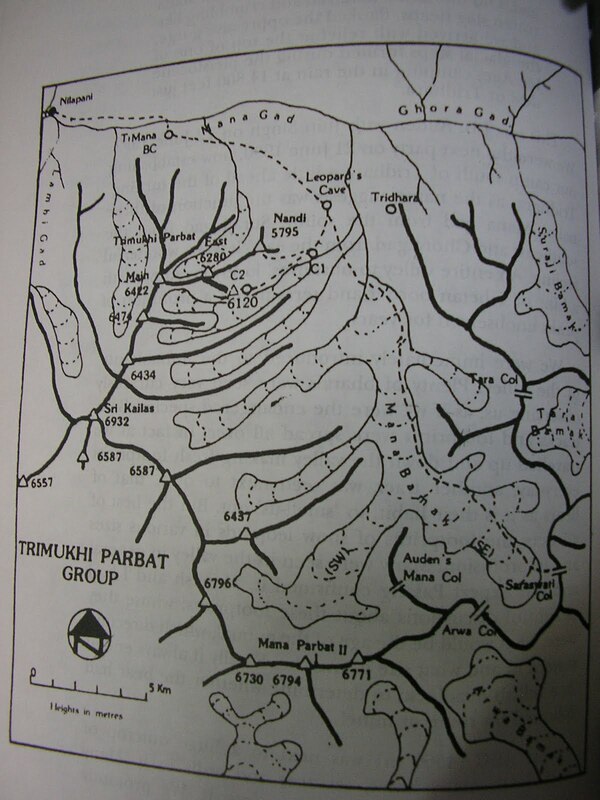 For example, in the ‘Simla’ (sic) sheet, there’s a blank spot beyond the Pin Parvati pass where Spiti should be. It could be that the region had not been surveyed at the time. Then there are problems with the deeply contentious Indo-Chinese international border north of Gangotri. 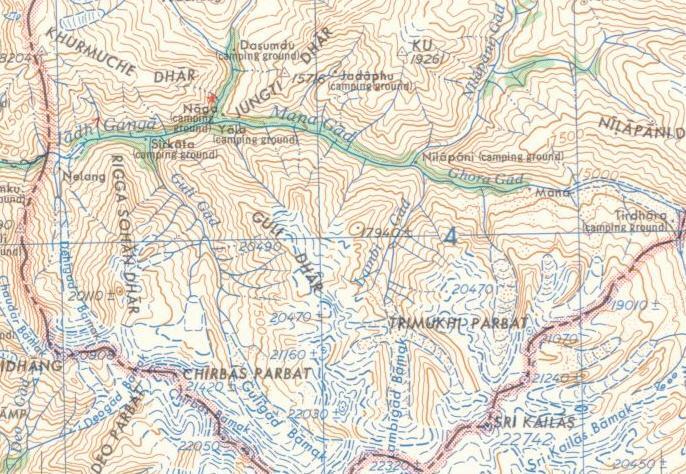 According to these maps, the entire Mana Gad (Gad is Garhwali for river) valley and its tributaries belong to China, although a glance through Kapadia’s Across Peaks and Passes in Garhwal gives us the real picture. At the end of the day there is no substitute for actually visiting these places. However, it must be said that where unsure, the Series U502 mentions it. They even have a handy ‘Reliability Diagram’ to the right of the map, where they rate the available information in that particular sheet from ‘Good’ to ‘Fair’ to ‘Poor’, and even list out the dates when the ground was surveyed. The oldest survey on the ‘Chini’ sheet, for example, are Medium Scale Topographical Maps from 1905! Anyway, I’m completely in love. Oh, and finally, to end where I began, I now know the names of the eminences you see when you stand atop Chandrashila on a clear October day. It might be a meager victory, but to me that’s momentous! 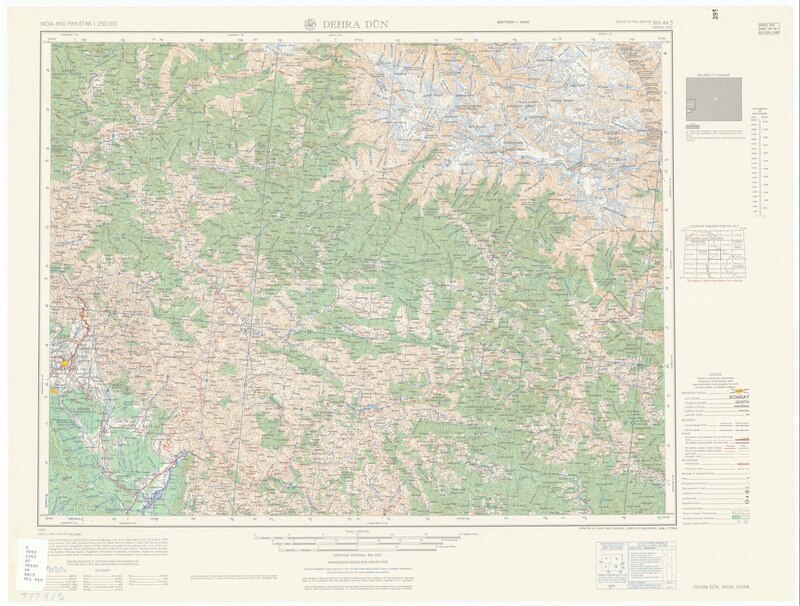 And so, my map woes are at an end- at least until I renew the saga of SOI Topographical maps. This is a magnificent obsession. i didn't know. so many thanks! Hi Anon, thanks for telling me. I'd no idea. Must check it out! What Debo said, about the stories.Very nicely written, Beq. fabulous i want more though. Stories about the mountains would be nice. Like not narratives, necessarily, but you know, stories.Really like the whole series.